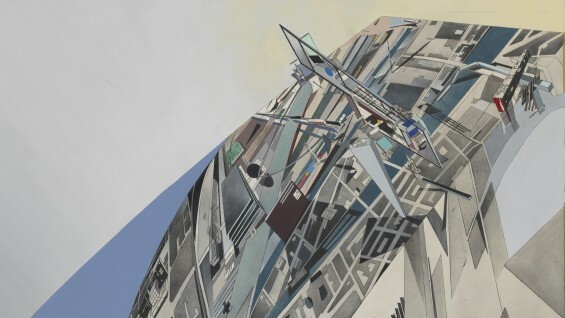 Detail: Zaha Hadid, The World (89 Degrees), 1984. This exhibition features formative works by architects who are among the most celebrated figures today—including John Hejduk, first Dean of the School of Architecture, Cooper Union professor Michael Webb, Cooper alumni Daniel Libeskind, as well as Frank Gehry, Zaha Hadid, Rem Koolhaas and Bernard Tschumi. Highlights range from Eduardo Paolozzi’s appropriations of pop culture to the technological utopianism of Archigram’s David Greene and Webb to the gestural mark-making of Libeskind and Peter Wilson. Drawing Ambience highlights the collection of drawings assembled by the late Alvin Boyarsky during his pivotal tenure as chairman of the Architectural Association (AA) in London. Boyarsky argued that architecture was not only a profession but also an artistic venture—a practice that comprises drawing and publication as much as it engages design and construction. 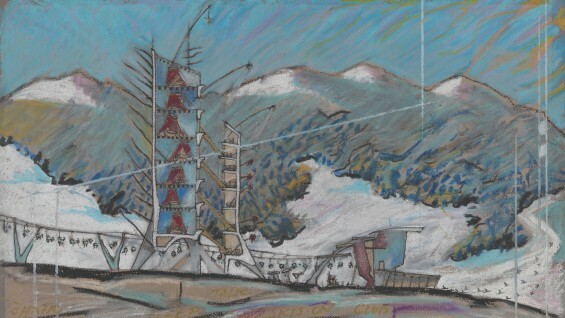 During his time leading the school, he orchestrated an ambitious exhibition and publication program, a sister to the exhibition and publication program simultaneously being developed at The Irwin S. Chanin School of Architecture by late Dean John Hejduk, that situated drawing as not only a representational tool, but as a form of architecture in its own right. 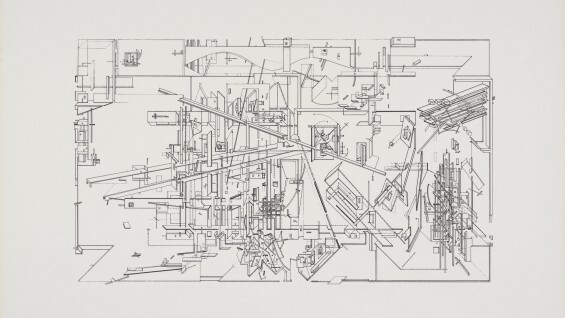 Drawing Ambience explores Boyarsky’s role as a collector of drawings and also, metaphorically speaking, of the ideas and people that have come to define a key moment in architectural history. Boyarsky’s tenure at the AA—the United Kingdom’s oldest independent architectural school—coincided with a period of great transformation and experimentation. Under his leadership from 1971 until his death in 1990, the AA helped introduce a wide range of concepts and methodologies that remain relevant today. Through a unique constellation of exhibitions, teaching studios, and publication projects, Boyarsky encouraged young architects to embrace the emerging global culture and probe contemporary issues while defining their own visual and spatial languages. 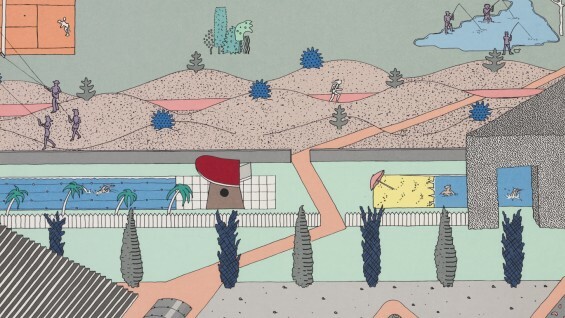 Drawing Ambiance: Alvin Boyarsky and the Architectural Association is co-organized by Museum of Art Rhode Island School of Design, Providence and the Mildred Lane Kemper Art Museum at Washington University in St. Louis. It is made possible by a grant from the Graham Foundation for Advanced Studies in the Fine Arts.